Modern Poetry in Translation’s summer issue A Blossom Shroud focuses on poets and translators associated with Shubbak’s 2017 Festival and it publishes a selection of new translations of poets appearing at the festival: Mona Kareem, Dunya Mikhail, and a new long sequence of poems by Golan Haji, translated by Stephen Watts. The focus also includes a conversation between Alice Guthrie, Shubbak’s literary producer, and poet, translator and activist Mona Kareem. 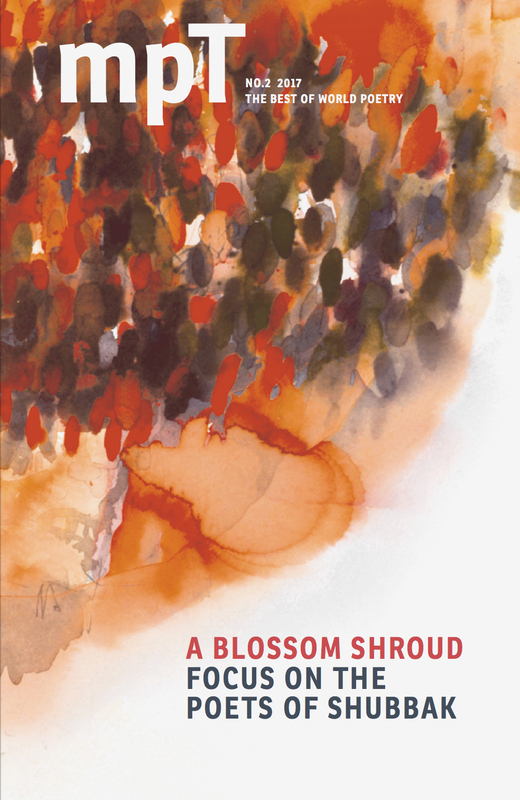 Also featured are new translations of Hisham Bustani, Najwan Darwish and Syrian actor and activist Fadwa Souleiman.